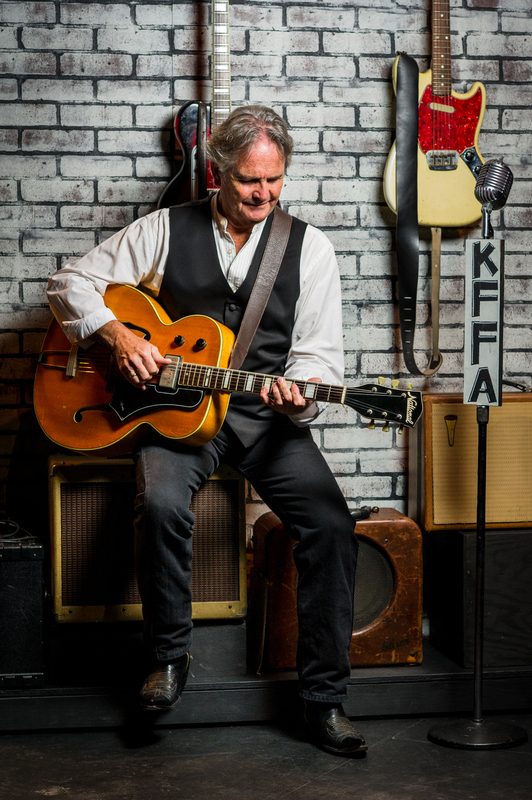 Down the Dirt Road Blues is Walton Arts Center's newest arts education performance, featuring musician Spencer Bohren. The production is an award-winning, original music concert for middle school through high school students that shares the history of American music from the blues to Rock ‘n’ Roll, with stops in Arkansas along the way. This week, Down the Dirt Road Blues has performed for over 2,000 Northwest Arkansas students with the goal of reaching more in the future. Rachel Breitfeller, Walton Arts Center's Ad/PR intern, had the opportunity to see the performance earlier this week. Here's what she had to say. “No I ain’t going…down this road alone,” sings Spencer Bohren for the most well-behaved middle schoolers I've ever seen. Does the tune sound familiar? Maybe it doesn’t, maybe it does, but one thing is for sure: roots of this song by Charley Patton can be heard in everything from Bob Dylan to the Rolling Stones. So, what exactly am I talking about? 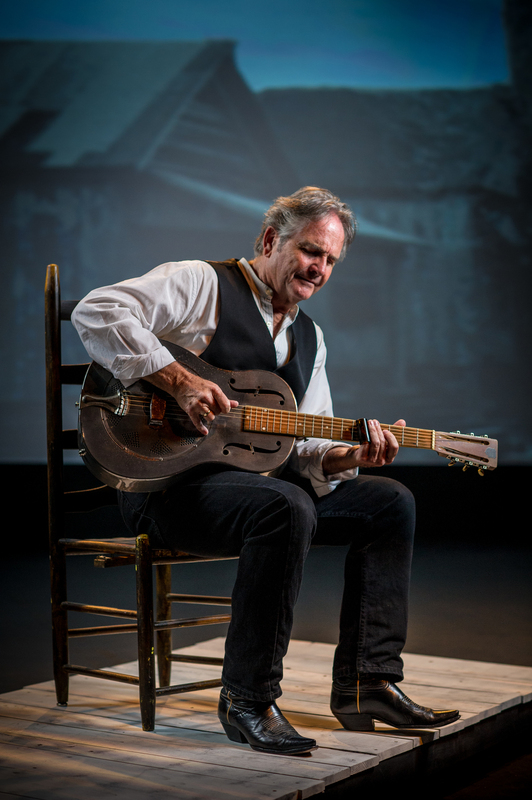 Walton Arts Center is hosting Spencer Bohren for Down The Dirt Road Blues educational performances throughout this week. I had the opportunity to sneak down for one of the performances and caught myself surrounded by middle school-aged children, tapping my foot to the beat and humming along to this famous tune. Down The Dirt Road Blues is an educational show that demonstrates the growth of music in America. From the cotton fields of the south, to the bustling city of Chicago, all the way across the pond to London--Down The Dirt Road Blues showcases how one tiny tune travelled a lifetime and transformed from blues, to country, to rock n’ roll, to folk music. The performance first traced the history of this one tiny tune through its blues phase with Charley Patton and Sonny Boy Williamson, to its country music phase in Arkansas with Johnny Cash. It then traces the song from country to the birth of rock n’ roll in Tennessee with Elvis Presley. From there, the tune transforms again with the Rolling Stones and eventually ends up on Bob Dylan’s first record. Spencer Bohren played a variety of instruments during the education performance, including a banjo and an electric guitar. Not only was the hour-long show filled with great tunes; it was also a history lesson at the same time! I never much cared for history back in middle school and high school, but I’m thinking that if my history lessons had been more like this performance, I would have definitely paid more attention. The children in the theater on Tuesday morning were so enthralled with the story and the music that every time Spencer mentioned a new artist that was influenced by the original song, the kids would “ooh” and “ahh” in excitement. Not only were the kids on the edge of their seats, the parents and teachers there were also laughing at the throwback references. Regardless of whether or not they really took the important message from the performance, everyone in the theater was completely engaged and having a blast…and that’s all we can really hope for here at Walton Arts Center. Bohren developed a version of Down the Dirt Road Blues in 1997 and has since presented it to 30,000 students of all ages, as well as concert audiences in America and Europe. For Walton Arts Center performances, Bohren adapted his Down the Dirt Road Blues concert that he has performed worldwide to feature moments in Arkansas history alongside American history as a whole. Walton Arts Center has partnered with the Ozark Blues Society, the Department of Special Collections of the University of Arkansas Libraries and Bohren to make this performance possible. The Department of Special Collections has provided photographs of Arkansas throughout the years that are digitally projected behind Bohren as he performs. Down the Dirt Road Blues is made possible by the generous support of individuals, foundations, corporate sponsors and benefactors. For more information on Down the Dirt Road Blues, click here.